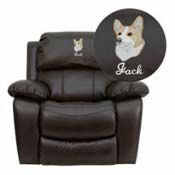 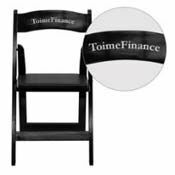 Whether you want to promote your brand or give meaningful gifts to your friends and family, chairs that are personalized with custom embroidery or vinyl appliqué hit the mark. 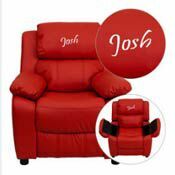 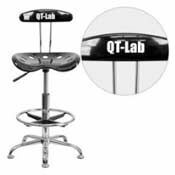 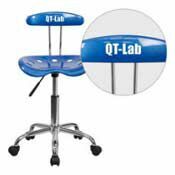 BizChair carries a large selection of items that can be customized. 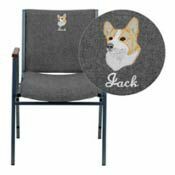 Our skilled designers can embroider fabric chairs with a design from our Digital Library or you can submit your own custom design. 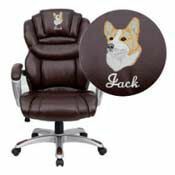 Using high-tech embroidery machines, they can weave up to 16 thread colors at a time, reproducing your logo, photo or artwork with a high degree of accuracy. Plastic and metal chairs are personalized using a vinyl appliqué process that offers many font styles and colors. 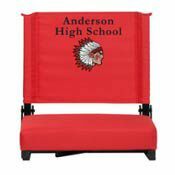 Limited only by your imagination, the possibilities are endless! 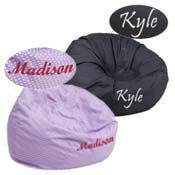 Personalized Gifts and Corporate Branding.